Asus launched its ROG Gaming Phone in India last month. Now the company has launched its two new Asus ZenFone Max Pro M2 and ZenFone Max M2 mid-range smartphones in India. At many aspects, both the devices feature a similar design and specs. The key highlights of both these two devices include a Notched display, dual rear camera setup, and a larger battery. The major difference you would find between these two devices are the processors of the devices, where, the Asus ZenFone Max Pro M2 comes with Snapdragon 660 SoC and ZenFone Max M2 comes with Snapdragon 632 SoC. Price, Specifications, and Availability of the Newly Launched Asus ZenFone Max Pro M2 and ZenFone Max M2 in India. In India, you will be able to buy the new Asus ZenFone Max Pro M2 priced at Rs. 12,999 for the 3GB RAM/ 32GB storage variant and for the 4GB RAM/ 64GB variant you will have pay Rs. 14,999, for the 6GB RAM/ 64GB inbuilt storage variant you will have to pay Rs. 16,999 respectively. The Asus ZenFone Max Pro M2 will be available in Blue and Titanium color variants starting December 18, exclusively via Flipkart. On the other hand, the Asus ZenFone Max M2 in India will cost your Rs. 9,999 for the 3GB RAM/ 32GB storage variant and Rs. 11,999 for the 4GB RAM/ 64GB storage variant. It will be available in Blue and Black color variants starting December 20, exclusively via Flipkart. Asus ZenFone Max Pro M2 runs on stock Android 8.1 Oreo and features a 6.26-inch full-HD+ display with 1080×2280 resolution with 2.5 curved Corning Gorilla Glass 6 protection. It is powered by a Qualcomm Snapdragon 660 SoC, coupled with 3GB, 4GB, or 6GB of RAM. In the camera department, the Asus ZenFone Max Pro M2 sports a dual rear camera setup, with a 12-megapixel primary sensor and a secondary 5-megapixel depth-sensing camera with LED flash. The rear camera also supports 4K video recording. On the front, the phone features a 13-megapixel camera with a f/2.0 aperture and LED flash. The Asus ZenFone Max M2, on the other hand, also runs stock Android 8.1 Oreo, and features a 6.26-inch HD+ 2.5 curved glass display with 720×1520 resolution and 19:9 aspect ratio. It is powered by a Qualcomm Snapdragon 632 SoC, coupled with 3GB or 4GB of RAM. 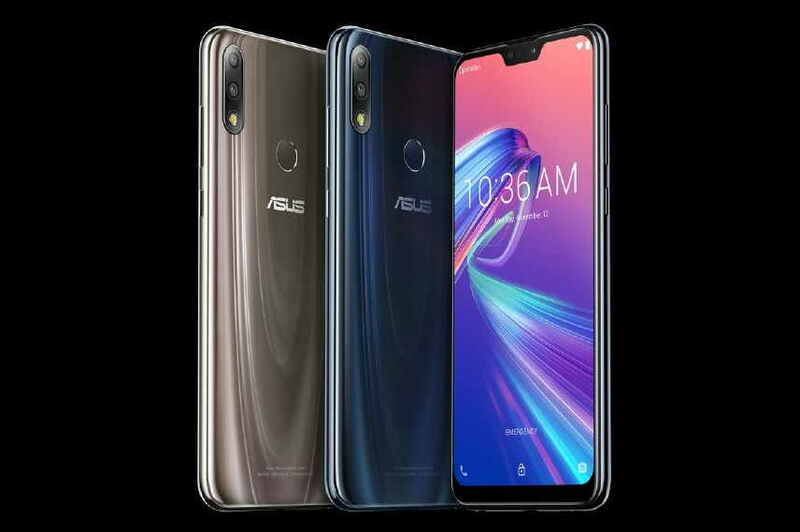 The Asus ZenFone Max M2 also sports a dual rear camera setup, with a 13-megapixel primary camera with f/1.8 aperture and a 2-megapixel depth sensing. The camera on the Max M2 also supports 4K video recording with LED flash. On the front, the ZenFone Max M2 sports an 8-megapixel sensor with a f/2.0 aperture, 1.12-micron pixels, and an LED flash.